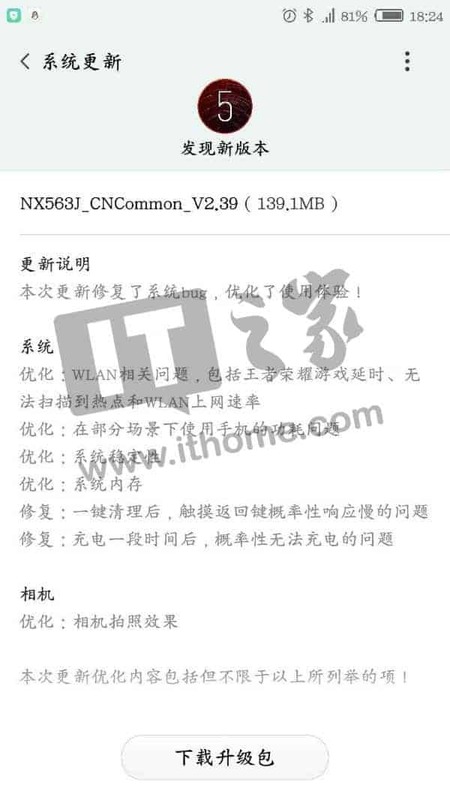 ZTE’s latest flagship smartphone, the Nubia Z17 is now receiving its first Android software update. The handset is currently running on Nubia UI 5.0, and the new update will bring the build version to v2.39. Based on the changelog posted, the package brings several optimizations and fixes to the device, including a fix for a Wi-Fi issue whereby the phone is unable to detect Wi-Fi hotspots. The power consumption in certain scenarios has also been fixed and the usual system improvements are included. On top of that, a bug which has been causing the return key to be unresponsive has also been solved. This problem has prevented some units from charging properly, according to previous reports. The update is being rolled out over-the-air (OTA) and is relatively sizable, weighing in at over 139MB. If you own the Nubia Z17 and have received a push notification from its manufacturer, it is best to download the update while being connected to a Wi-Fi network. ZTE launched the Nubia Z17 earlier this month and it has since been made available for purchase throughout China. The Nubia Z17 is the first smartphone to go on sale with 8GB of RAM, though not the first phone to be launched with that configuration. That honor goes to the ASUS ZenFone AR which was announced at CES 2017 and has just been made available. 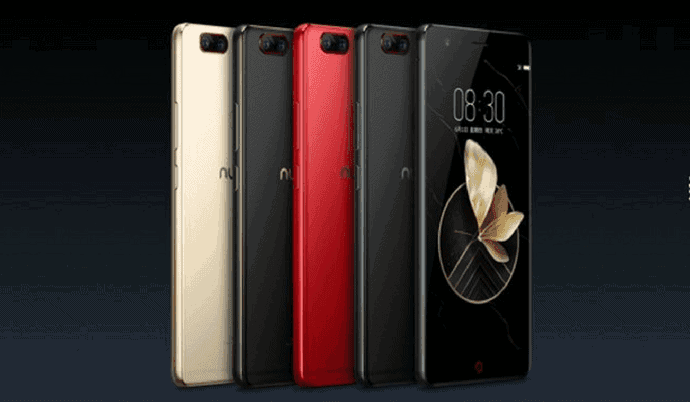 When it comes to specs, the Nubia Z17 is packed with a 5.5-inch Full HD display panel and is powered by the Qualcomm Snapdragon 835 processor along with the Adreno 540 GPU to handle graphics. Memory-wise, it comes in variants with 6GB of RAM and 64GB/128GB of internal storage and 8GB of RAM with 128GB of flash memory. For optics, the handset sports a dual camera setup on its rear consisting of a 23-megapixel shooter and a 12-megapixel sensor. The setup is assisted by 2x optical zoom support along with Dual Pixel autofocus. Selfies are handled by a 16-megapixel camera which is equipped with an 80-degree wide-angle lens. Keeping the lights on is a 3,200mAh battery with support for Qualcomm’s Quick Charge 4.0. It’s currently unclear how long will ZTE take to release the Nubia Z17 in markets outside of China but more details on its efforts to do so should follow soon.